Is it time to eliminate 'Kiss Cam' at sporting events forever? This has potential to be a very 2019 argument — I have a right to be offended vs. I can’t believe a few are offended and could affect change — but it doesn’t have to be. *If you’ve been to a few sporting events this century, there’s a very good chance you’ve seen a timeout promotion called “Kiss Cam.” For the uninitiated, the premise is simple: In-arena camera operators zoom in on two people in the stands, and they are encouraged to kiss while being shown on the big screen for tens of thousands of other fans to see. There are probably three basic camps when it comes to Kiss Cam: Those who go to games excited by the prospect of being on the Kiss Cam and/or watching it on a Jumbotron; those who go to games actively seeking to avoid being on the Kiss Cam and who are uneasy just watching the stunt unfold even without them; and a likely majority of people largely ambivalent about it — ranging from vaguely annoyed to vaguely amused — who probably don’t give it much thought either way. Poll: Should the Kiss Cam be eliminated at sporting events? In a long story published Thursday, The Ringer’s Britni de la Cretaz takes a deeper look at the in-arena promotion and builds a case for whether it needs to be eliminated — or at least re-examined. This has the potential to be a very 2019 argument — I have a right to be offended vs. I can’t believe this small minority of people is offended and could affect change — but it doesn’t have to be. The piece brings up several good points via anecdotes from fans “horrified” to be put on the spot — particularly those who wind up on the big screen next to someone who is not a date or partner (like, say, a sibling or other relative). There’s even a local angle! 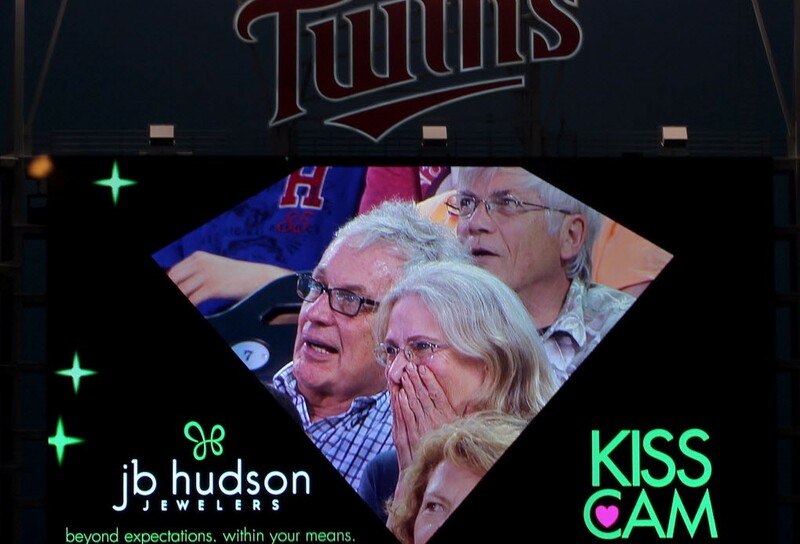 Minneapolis’ own Dan Wade is quoted from an experience he had at a Twins game several years ago at the Dome; the Twins still did Kiss Cam at Target Field in 2018, by the way. The piece also delves nicely into the subject of the heterosexual norms often perpetuated by Kiss Cams. It might not be the most pressing thing for us to think about this year, but it’s worth reading and considering. *If you’re looking for a more lighthearted read, ESPN’s Emily Kaplan takes on the task of hockey players having a hard time finding pants that fit because of they have big butts and thighs. Wild center Eric Staal says he gets custom jeans. *These feel like oddly specific benchmarks specifically tailored to statistical minimums achieved by Kirk Cousins this season, but the Vikings tweeted out that the QB in his first year in Minnesota became the first QB in NFL history to have a season with at least 30 TD passes, 10 INTs or fewer, 4,000 yards passing and at least a 70 percent completion mark. *Basketball Reference and Hockey Reference currently project the Wolves and Wild to each finish with 41.1 victories (let’s round down to 41, exactly half of both 82-game schedules). But the Wolves have just a 16.6 percent chance of making the playoffs, while the Wild are at 59.9 percent. Which players will benefit most from Timberwolves coaching change?